Ryan Balthrop draws inspiration from his southern upbringing in Mobile, Alabama, and from his years living and performing in the Eastern Caribbean. His debut solo album, due out this summer, presents a sophisticated blend of Americana, folk, blues, and a taste of the islands. He has performed over 150 shows a year with various southeastern bands since 1994, and is finally coming into his own with this long awaited solo effort. The album spans several genres, and represents Balthrop’s powerful songwriting capabilities. His soulful, sometimes delicate vocals, drive home the themes that intertwine to create an atmosphere of inner reflection and emotion. Still the themes relate to a wide audience, speaking to all of us, who have lost, and continued to love. Balthrop also expresses a fascination for the afterlife, and a belief in the rewards that await us there. Balthrop is accompanied by Mississippi native, multi-instrumentalist, Brooks Hubbert. 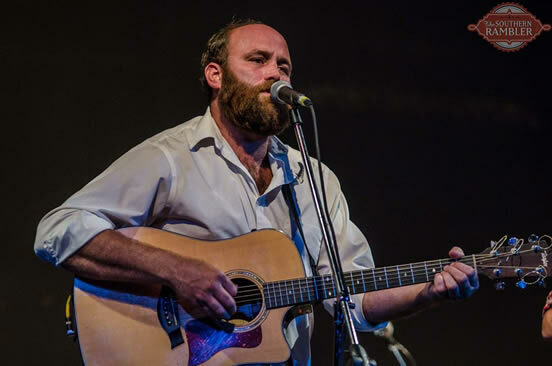 Hubbert is also a singer/songwriter and fluent on guitar, mandolin, fiddle, banjo, ukelele, and harmonica. 2018 was our first Rock Legends Cruise and as soon as we got off the boat we booked RLC7 for 2019. The entire experience was such a good vibe. Everybody on board from passengers to artists are just having a great time. It’s not hard to do when everyone around you is happy.